We are exclusively engaged with our expertise in supplying a wide assortment of Phosphating Tank. This tank is manufactured using premium quality raw material and optimum technology with the help of our skilled professionals. The tank offered by us is tested on various industry parameters in complete compliance with the universally accepted standards. Moreover, clients can buy this tank at industrial leading prices. Established in the year 2001, at Ludhiana (Punjab, India), we, “K.P.S. Engineering Works”, are engaged in manufacturing and supplying a comprehensive assortment of Powder Coating Plant, Powder Coating Gun, Diesel & Gas Burner and Industrial Oven, etc. The offered products are manufactured with the help of supreme grade material that is sourced from trusted vendors in the market and contemporary machines in compliance with set industrial norms. 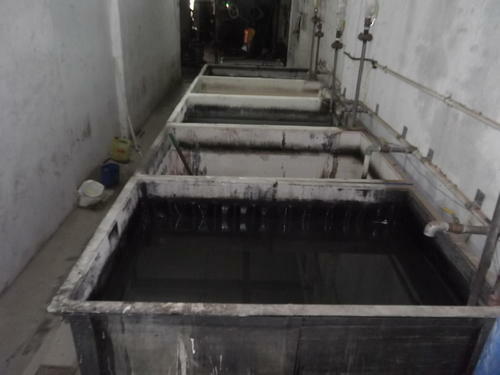 Our offered products are widely used in various industries for cleaning acid through spray method, evaporating moisture and powder curing on the work pieces, etc. purposes. We offer these products in various technical specifications for our clients to choose from. Further, before offering to our valuable clients, these products are tested on various parameters by our experienced quality controllers assuring their flawlessness at users end. Our offered products are assembled with chemical and water tanks for proper cleaning of acids, alkaline, oil particles from work pieces.